Jaime Lynne Dillon has been working in the non profit sector for over 20 years. With roles from direct care staff to marketing and development, Jaime has come to develop a real understanding of the needs of running a successful organization. Jaime has a special place in her heart for those fighting addiction and mental health issues, as she has lost any close friends and family members due to these difficulties. Jaime has recently taken on the Executive Director leadership role at Life Connection Center and has been a great asset. Jaime has a strong interest in fundraising and program development, is a member of the Massachusetts Association of Fundraising Professionals and is certified in Professional Fundraising from Boston University. Jaime is married with three children, is an artists and a founding member and Board Member of her local church. Danilo Brack owns and operates a private Law Office specializing in immigration, criminal law and consumer protection. An immigrant from Brazil, Danilo appreciates the opportunity that the US has provided to his family and is committed to the Life Connection Center's mission to give back to the community by helping Lowell's homeless, hungry and vulnerable. With a first-hand experience in the difficulties of being an immigrant, Danilo is helping the Spanish and Portuguese speaking community as an honest, dedicated and serious advocate of immigration rights and reform. Danilo brings his extensive experience in Law and several years' experience with corporations in management to the LCC Board. Danilo has an MBA from Umass Lowell and a Law degree from the Massachusetts School Of Law. Vincente Dalmaso, is one of the Bishops of the MIL Church located in Lowell, Massachusetts. Vinny, as he is fondly called is one of the original founders of the Life Connection Center (LCC). An immigrant from Brazil, Vinny was unable to reconcile his perception of the US as rich and powerful country in Brazil to the hunger, homelessness and vulnerability he saw on Appleton St in Lowell. So him and his mother, Pastor of the church, set out to do something about it, and contribute to his new community. Vinny used his experience as a contractor remodeling and building new homes to remodel and upgrade the existing LCC building from an abandoned, drug infested building to its current state of the art condition. Vinny brings oversight to the MIL church for business and financial matters. Cristiane is the driving force behind the meals and volunteerism at Life Connection Center. she helps to plan, shop and prepare all of the meals that are provided at Life Connection Center. She has a passion for cooking and works miracles with the budget we have every week. Cristiane is a kind person with a great passion for helping the people of Life Connection Center. Scott McGrath is a lifelong resident of Lowell with deep roots and connections to civic society and leadership in Lowell. Scott brings over 30 years experience working as a counselor in substance abuse programs for the VA in Lowell and the Boston Metro area to the Life Connection Center. He has a Certificate in Substance Abuse Counseling. In addition, Scott is a Licensed General Contractor in the Lowell area, and has several years’ experience in all aspects of home building and remodeling. Scott has now dedicated his life to helping the hungry, homeless and substance dependent citizens of Lowell. Pastor Cluesa Costa, a native of Brazil, is the founding leadership of the MIL Church which started the Life Connection Center. She had an experience seeing a woman outside on the street of her church under the influence of drugs or alcohol. This mom was being dragged by her child. The child was using every effort to wake the mom up and move her along. this scene broke Pastor Cluesas heart. She began to think about how she could help the community on Appleton street. She thought that the easiest thing she could do, which was within her means was provide a meal and open her doors. 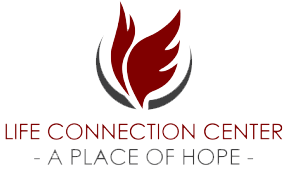 This began the mission of Life Connection Center, providing a place of hope, safety and encouragement.